Putting oneself in harm’s way by way of a fast unto death might now be futile, given the social conscience is so dulled that the rightness of a cause is no guarantee for success any more. Last year, the centenary of Gandhi’s Champaran movement was celebrated with great fanfare. Earlier this year, a relatively low-key event marked the centenary of the Ahmedabad mill workers’ strike under his leadership. Celebrations of 150 years of his birth have already started on what promises to be a grand scale. To these celebrations will be added the centenary of the 1919 Rowlatt Satyagraha. Immediately thereafter, in 2020, will fall the centenary of the great non-cooperation movement. That makes it five celebrations in four years. The tally could – should – have been six if the centenary of an extraordinary act of Gandhi’s had not gone unremembered. The non-remembrance is a reflection of what strikes us as important and what passes us by. We have remembered the centenary of the Ahmedabad mill workers’ strike, not the arguably more significant centenary of Gandhi’s first fast-unto-death. It was during the Ahmedabad mill-hands’ strike that he felt a sudden instinct to undertake a fast-unto-death and immediately acted upon it. Thus was added to the Gandhian armoury of non-violent resistance this weapon of last resort. Gandhi employed this weapon only on four other occasions. Three of his five fasts-unto-death were spread over thirty years in British India. Strikingly, two were undertaken during the short five-and-a-half months that he was permitted to live in free India. It is a bizarre irony of history that the centenary year of Gandhi’s first fast unto death should have seen the tragic end of a heroic fast-unto-death. 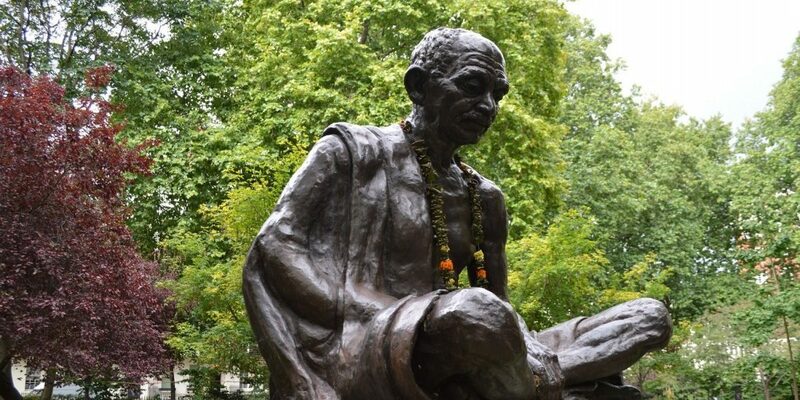 It is a bizarre irony of history that the centenary year of Gandhi’s first fast unto death should have seen the tragic end of a heroic fast-unto-death. That irony provides an immediate perspective to any consideration of the principles and pragmatics of fasting unto death as an instrument of public protest. But first a quick recall of what Gandhi did. The Ahmedabad workers’ strike had been on for two weeks when signs of flagging began to appear. “Finally,” Gandhi writes in My Experiments with Truth, “the information was brought to me that the strikers had begun to totter…. One morning – it was at a mill-hands’ meeting – while I was still groping and unable to see my way clearly, the light came to me. Unbidden and all by themselves the words came to my lips: ‘Unless the strikers rally,’ I declared to the meeting, ‘and continue the strike till a settlement is reached, or till they leave the mills altogether, I will not touch any food. '”This was on March 15, 1918. His fast, Gandhi realised, “was not free from a grave defect.” He “enjoyed very close and cordial relations with the mill-owners”, and with them he could only plead. Fasting “against them would amount to coercion”. He tried putting them ‘at ease’ by saying: “There is not the slightest necessity for you to withdraw from your position.” Naturally, as Gandhi himself records, “they received my words coldly and even flung keen, delicate bits of sarcasm at me, as indeed they had a perfect right to do.” However, Gandhi broke his fast on March 17 and the dispute was amicably resolved soon thereafter. Gandhi’s next, the best known, fast-unto-death came 14 years later (September 20-26, 1932). Undertaken against the British government’s declaration of separate electorates for the Scheduled Castes and achieving its objective in the form of the Poona Pact, the fast remains the focus of serious political and academic contention. Then, seven years later (March 3-6, 1939), came a deservedly little-known and inconsequential fast which Gandhi undertook against what he saw as a breach of promise by the ruler of Rajkot. Finally came the two fasts unto death that Gandhi felt obliged to undertake in independent India. The first one (September 1-4, 1947) was meant to, and indeed did, restore communal peace in riot-torn Calcutta. This is the fast that led to Governor-General Mountbatten’s famous description of Gandhi as the ‘one-man boundary force’: What 55,000 soldiers had failed to do in the Punjab, Gandhi had done alone in Calcutta. The last fast-unto-death (January 13-18, 1948) was undertaken to restore peace in Delhi. Fourteen days later, pre-empting further mischief, Gandhi was assassinated. But lurking about in the country was one Potti Sreeramulu, an ex-inhabitant of the Sabarmati ashram. Gandhi had once said that with just eleven people like Sreeramulu, India would be free within a year. The few who noticed this man as he ploughed a lone furrow on behalf of the Dalits thought he was crazy – until he starved himself to death to precipitate the creation of a separate Andhra Pradesh and be hailed as amarjeevi (immortal). 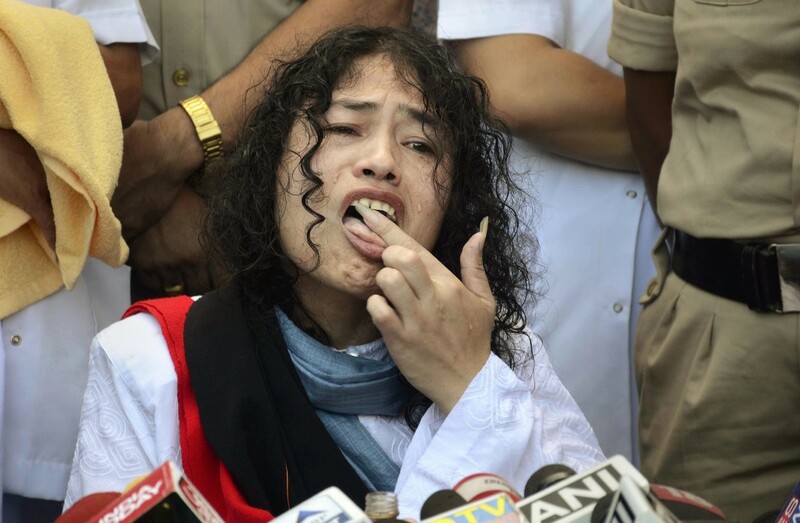 In poignant contrast to that stands Irom Sharmila. Her conscience revolting – after the Malom Massacre – against the enormity of the Armed Forces (Special Powers) Act, she fasted for nearly sixteen years, withstood the endless torture of force-feeding and won universal acclaim. Then she realised, as only she could have, the futility of fasting, and was awarded by the very people who had lionised her with no less than 90 of their very valuable votes. She no longer lives in her native state. 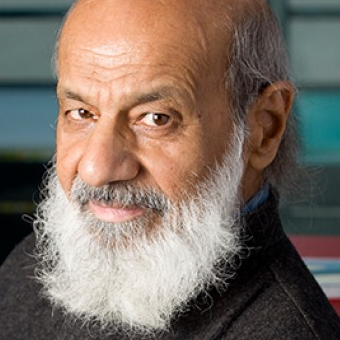 And, finally, there is the recent instance of Professor G.D. Agarwal – Gyan Swaroop Sanand – who died last month after a marathon 111-day fast to ensure the uninterrupted flow of the Ganga. In a country ruled by a political party that swears by Hindu culture and has a cabinet minister specifically to look after Ganga River Rejuvenation, no one needed have gone on a fast for saving the Ganga, let alone die for it. It happened nonetheless, and therein lies the heart of the matter. Concerned as I am here with fasting-unto-death within a broadly non-violent Gandhian framework, there needs must be a certain moral impulse and authority behind the fast. Gandhi possessed that authority in a measure unequalled in his time and since. That explains why all his five fasts unto death ended, apparently, successfully, as it does the strikingly short duration of those fasts. None of them went beyond the sixth day, which was nothing for him, used as he was to 21-day fasts. 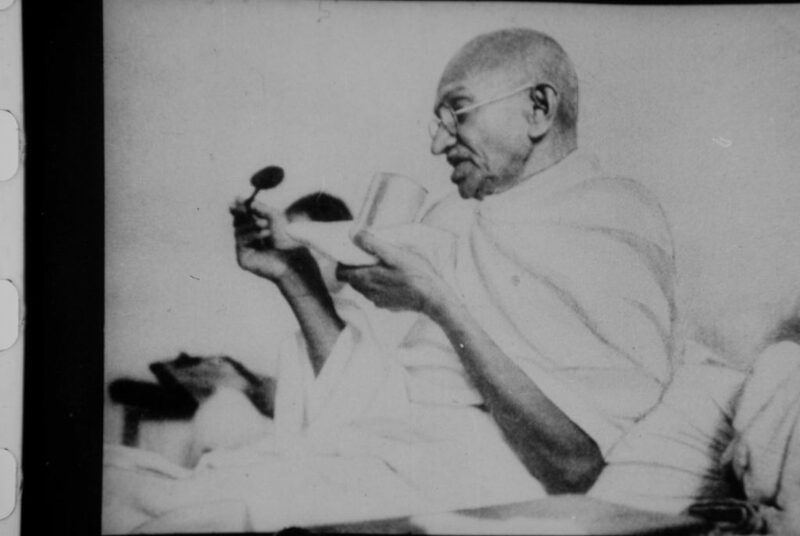 But can any of his five fasts unto death be seen to have been successful as an instrument of Gandhian resistance? I write as an unabashed admirer of Gandhi. The first fast was plain emotional blackmail. The second was, in terms of conventional politics, a perfect tour de force. But it left virtually untouched the hearts of caste Hindus, and forced Gandhi to undertake an expiatory 21-day fast and a nationwide ‘Harijan yatra‘ the following year. Less said about the third the better. Similarly, his final two fasts did, indeed, restore communal peace in Calcutta and Delhi. However, they did that not because people’s hearts had changed; for all their heightened propensity for cruelty, they were still not ready to see the old man suffer. Besides, the effect of these fasts remained localised. That Gandhi should have staked his very life twice in quick succession and failed to produce wider reverberations, is hardly an index of success. Of the three post-Gandhi fasts I have chosen, only that of Sreeramulu succeeded in its objective. But its success was partial. When Sreeramulu first went on a long fast to demand the creation of a separate Andhra Pradesh state, his demand was conceded. But difficulties arose on account of the demand to retain Madras within the new state. Then he undertook another fast, which ended in his death. Even though the state of Andhra Pradesh was created, the demand for the inclusion of Madras was not conceded – which would suggest that, even while the larger historical conjuncture was favourable, there were limits to what the fast could achieve. Neither Sreeramulu’s death nor the demonstrations that followed, could obtain Madras for the new state. Finally the other two fasts. More than their failure, the want of any considerable social stirring as a result of their failure – the two are related – should make us pause and think. Is there any longer anything worth putting yourself in harm’s way, be it the right to basic civic existence or environmental devastation. Given a social conscience so dulled, the rightness of a cause is no guarantee – no reason – for success any more. With morality out of the equation, and pragmatism alone deciding the issue, there is little practical value in risking the ultimate act of heroic self-suffering. Indeed, to end with a weird thought, the state could, in Sharmila’s case, even take credit for having saved the life of an obviously egregiously erring citizen.